Schools are in full swing for Term 1. Kindergarten students have settled in and all staff and students have adapted to their new school year routines. Christmas time and holidays are a distant memory! This week all our schools will be involved in reflecting on the various aspects of Holy Week, celebrating them through school liturgies and being involved in the Parish and Archdiocesan celebrations as well. All schools reflect on this most important week in the Church’s year, and do things a little differently. What is constant, however, is that our Catholic Schools ensure the events of Holy Week are explained and presented in a child friendly way, ensuring that the message of the Easter story is clear and full of hope. It can be challenging with our students to emphasise that the message of peace is one that is drawn from the violence of Jesus’s Passion and Death and the triumph of his Resurrection on Easter Sunday. It is hard to imagine the end of Term 1 without Kindergarten students waving green crepe paper, singing ‘Hosanna’ as two students process in the hall dressed as a donkey and others singing with tea-towels on their heads! The celebration of Palm Sunday, the Last Supper, the crucifixion and death of Jesus on Good Friday and his Resurrection on Easter Sunday make this an important and uplifting week in our schools. 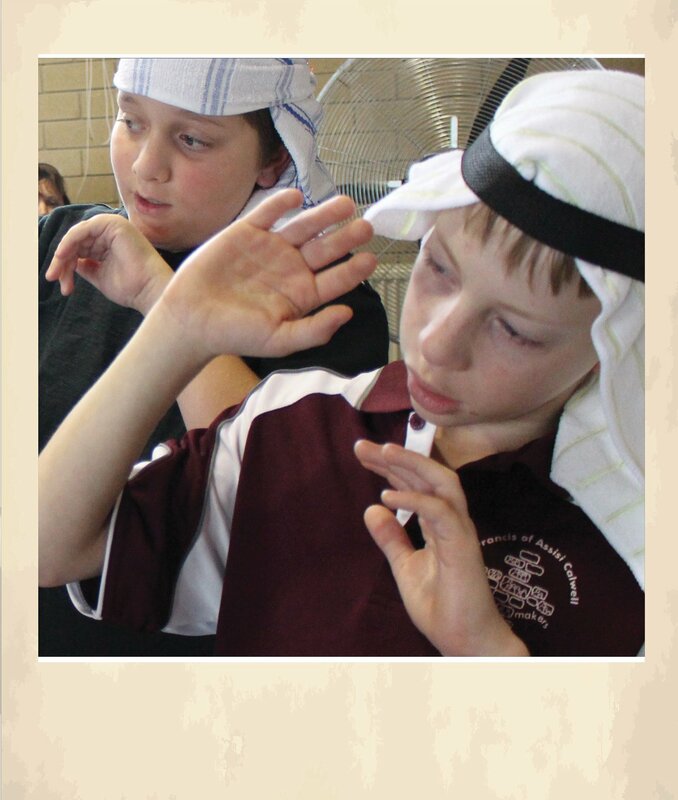 As parents in Catholic Schools, please engage with the sacredness of Holy Week as we involve our students in the special events of this Easter celebration. Please speak with your children about what has been retold and join our celebrations.